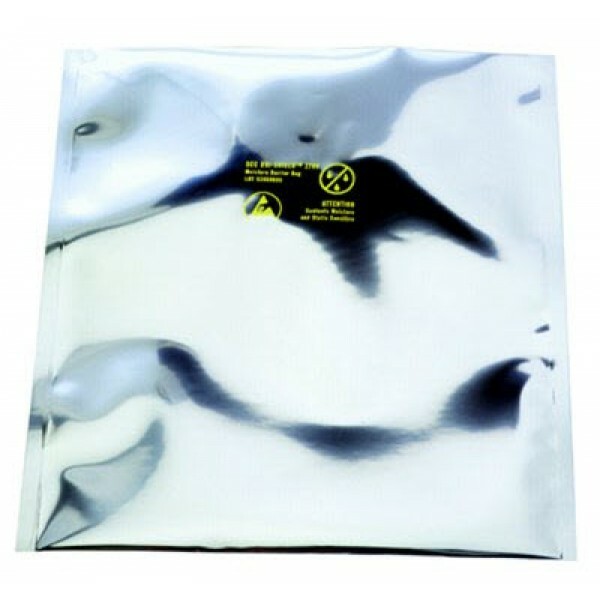 Dri-Shield 2700 bags provide superior puncture resistance and drop test performance. Bags help protect SMD’s from moisture and static damage. Flexible structure is easy to vacuum seal.and provide a huge 30 pound puncture resistance that makes this the choice for packaging tubes, trays, and reels that have troublesome sharp edges. Provides full protection from ESD, static fields and tribocharging. Coded for QC traceability. These bags are tested to meet or exceed certain electrical and physical requirements of ANSI/ESD S541, EIA 625, and to be ANSI/ESD S20.20 program compliance.